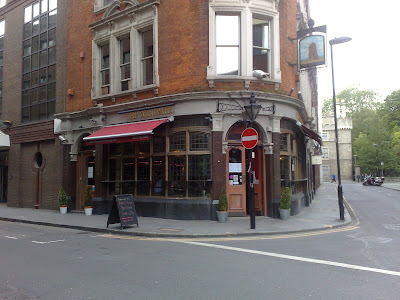 It's surprising that confusion over similarly-named establishments hasn't been an issue before, given that all the pubs in London seem to share about five names between them. 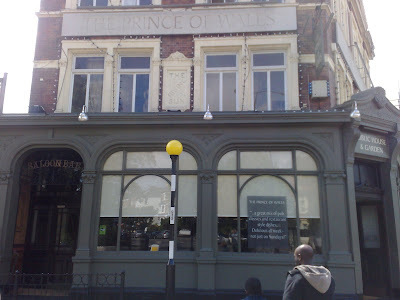 There is a very easy way to tell this Prince of Wales (on Battersea Bridge Road, near Battersea Park) from its namesake in Putney, however - the Prince of Wales in Putney serves good food, this Prince of Wales serves bad food. 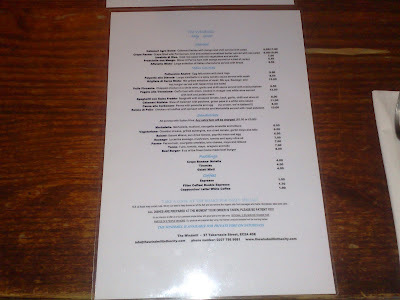 In what was until recently a Settle Inn, refurbished tastefully if unspectacularly, I took refuge from the Bank Holiday rain on Sunday and gamefully tried to get myself excited about yet another bog-standard pub menu. 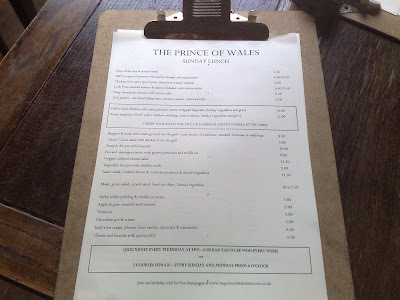 It's less of a testament to the standard of food at the Prince of Wales than it is to the dearth of alternatives in this part of London that many tables appeared to be reserved and the room was almost full as early as 1pm. 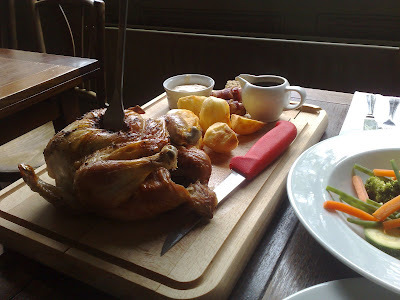 As with its previous incarnation as a Settle Inn, the thing to order on Sunday appears to be the roast - "Carve yourself at the table" they suggest, presumably because the excruciating pain of self-harming distracts from the overcooked broiler chicken and flabby cold vegetables. The only reason I went for the chicken over the beef is that I couldn't face being presented with some dry, frozen Yorkshire Pudding, and I'd love to give them the benefit of the doubt and say maybe they make their own batter and do it properly, but in my heart of hearts I know I would have been given a cupcake-sized cardboard pillow, and the pain of that would have been too great. So chicken it was, and despite being the first to order that day, the chicken had already given up the ghost and fell off the bone in thin, chewy strands, the gravy was insipid, chipolatas similarly unimpressive and the bread sauce tasted of wallpaper paste. The roast potatoes were OK. 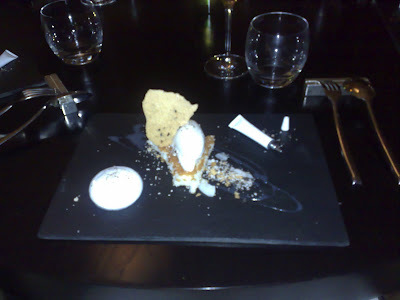 The best thing the Prince of Wales has going for it was the service - so often true of London restaurants these days, and something I am eternally grateful for - but confusion reigned over my dessert order. 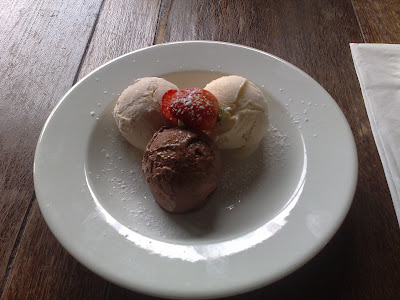 Clearly stated on the menu was "Choose from vanilla, chocolate & cinnamon", so I chose vanilla. The waitress appeared slightly hesitant. "Well, how many am I - ...ten, please!". I thought if service was going to be so baffled by an order for vanilla ice-cream, I was damn well going to take advantage of the situation. Sadly, my ice-cream when it did arrive consisted of one scoop each of vanilla, chocolate and cinnamon - predictable I suppose, but still slightly disappointing. A friend's sticky toffee pudding was alright though. As if in compensation for our mediocre meal, the weather gods decided to bless the rest of our afternoon with bright sunshine, and we strolled around Battersea Park enjoying the post-rainstorm aroma of wet grass and damp dogs. In fairness to the Prince of Wales, a full roast chicken and sides for £20 is probably as good as you're going to get in terms of value for money, but that doesn't mean, despite my new budget, I have to enjoy it. Maybe one day somewhere will show Londoners how it should be done, a lovely firm free-range chicken rubbed with herbs and seasoning, with goose-fat roasties and fresh summer veg. Until they do, there's only room for the one Prince of Wales in my life. I've never consciously set out to be one of the first to visit any new restaurant openings in London. It seems a bit pointless making a special effort traipsing across town only to be let down by frantic service and a stripped-down menu, when if you wait a few weeks for everything to "bed-in" slightly you'll get a much better experience. There's also a much more important reason why I'm generally not amongst the opening-night crowd - I'm lazy, and the first I know about a new place is usually reading a post at Dos Hermanos or in the Evening Standard. 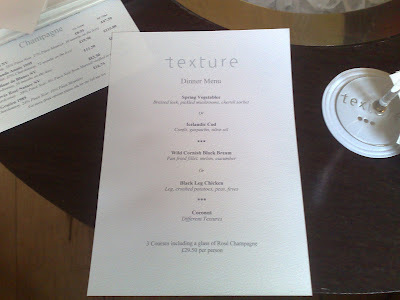 So although Texture opened in 2007 and those in the know visited soon after, it took me another six months and an attractive Toptable offer to make the effort myself. 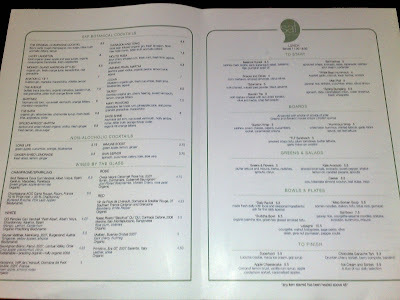 On the one hand, it's perhaps slightly worrying that a high-end restaurant barely six months old has already resorted to Toptable menus to bring in the punters. But then my meal at Pearl was one of the highlights of last year so there's no reason having any sort of deal should be a sign that things behind the scenes are going pear-shaped. First impressions are pleasingly luxurious. The high-ceilinged Georgian townhouse has been tastefully split into a haute-cuisine dining room (too new for Michelin but they're clearly aiming at a star) and a swanky champagne bar complete with tables with integrated champagne buckets, which seems like a good idea until you all start ordering nibbles and they keep sliding into the ice. 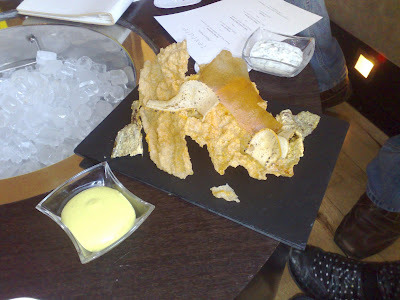 Nibbles, by the way (which despite being priced quite aggressively on the bar menu seemed to be comped for us that night) consisted of bacon popcorn, which was lovely and warm, and an impressive slate of various slivers of fried parmesan, cod skin and potato, all well worth trying along with the homemade dips. 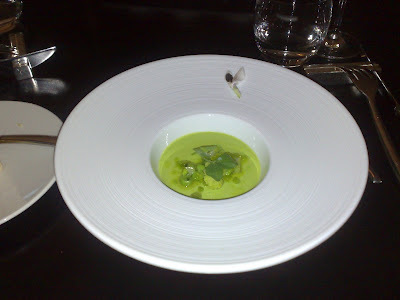 The meal proper began with an unannounced amuse of cold pea and bean soup (and a silly little flower on the side). Nice and fresh tasting, although some fellow diners noticed theirs was slightly frozen in the middle and mine wasn't, which points to some inconsistencies in the kitchen. Plenty of time to iron those out before the Michelin boys arrive though I imagine. With an eye on getting my money's worth, I ate my flower. Nobody else did. 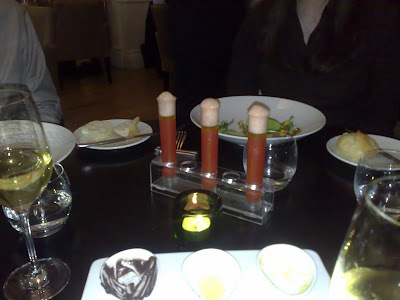 Starter proper was Icelandic Cod, which was presented dressed with some vegetables (including remarkably sweet par-baked cherry tomatoes), then the waiter poured a tomato consommé on top and plonked down a rack of gazpacho test tubes in the middle of the table, to also go with it. Slightly pointless, to be honest (would you like some tomato soup to go with your tomato soup?) but I'm a bit of a sucker for theatrical flourishes like this and it all tasted pretty good. I've had better gazpacho, sure, but never from a test tube. 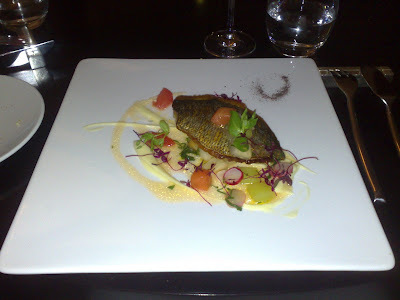 My main course of Cornish bream was slightly overcooked, but was of good quality and with a lovely crispy skin. A damn sight better than the fish I was served in Nantes recently, for example. However I'm not sure the melon and cucumber accompaniment worked particularly well, being rather flabby and sweet. Looked very pretty on the plate though with all those colours. Finally, and apologies for the blurry photo, was coconut done about a hundred different ways, including - and here's another bit of theatrics - coconut syrup from a little squeezy tube. Oddly, there weren't enough squeezy tubes to go round but we were assured this was deliberate and we were supposed to share. I know you're thinking this sounds a bit twee, but this sat very well with me as I'm well known for swapping food across the table with other diners anyway. A nice idea, which probably deserves developing. So as you've probably worked out by now, this is not mind-blowing, life changing food but it's pretty solid cooking and for the offer price of £30 a head it's hard to beat. If you only order tapwater and make the most of the free glass of rosé champagne in the bar beforehand, this is a genuine bargain. 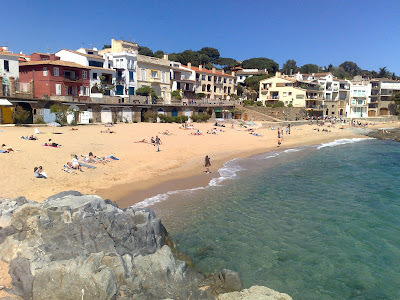 Which is just as well, as after New York, Spain and France I'm totally broke. For the next few months, I'm going to have to make do with the only place in London where you can eat like a king for under a tenner, and if that's my punishment for a month of excess then I'll accept it gladly. If you want me, I'll be in Tayyabs. You know those places that you walk past every day of the year and always think "that looks interesting, I'll have to try it one day" and then months pass and you eventually do try it and it turns out to be brilliant, and you hate yourself for having waited so long? The Windmill isn't one of those places. The Windmill is one of those places you walk past every day of the year and always think "that looks interesting, I'll have to try it one day" and then months pass and you eventually do try it and it turns out to be crap. I actually remember the Windmill from its previous incarnation as a dodgy East End boozer. It was refurbished a year or so ago in line with Shoreditch's increasing gentrification and now calls itself an Italian gastropub. I never much liked the old Windmill - it had a pool table and places like that tend to attract a certain type of clientele - but I never thought that the New Windmill would be so bad I'd look back on the old place with nostalgia. I'm still settling back into London restaurants after Spain and France, so sweet, efficient and attentive service is still somewhat of a novelty to me, and fortunately the Windmill at least has this going for it. What it doesn't have is any idea how to cook meat. 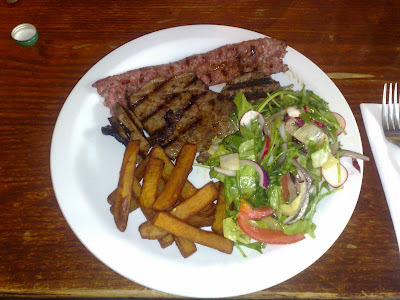 I ordered the 'Mixed Grill' which consisted of a sausage, a rib-eye steak and a hamburger. The sausage was flattened out for some reason, but despite this seemed undercooked and suspiciously pink and wobbly in the middle. The hamburger was watery and tasteless, consisting of inferior grey mince cooked to oblivion. But worst of all was the steak, cut so thin and overcooked to such a degree I can only assume one of the chefs was a shoemaker in his day job and accidentally mixed up his materials. Probably the worst steak I've ever been served in London, and not helped by the fact there was no accompanying sauce so even if I had been tempted to eat it (which I wasn't) I would have had to wash each mouthful down with a glass of water. To be fair, the green salad was actually pretty nice - fresh veg (including radishes which I love) and a nice lemony vinegarette, but the 'Italian fries' were flabby and unpleasant, tasting like microwaved potato wedges. Delia Smith would probably have loved them. I'm not going to write any more about The Windmill because I can feel those horrible wobbly chips repeating on me. Needless to say, I will never eat there again, and neither should you. Four days in France, and a glittering opportunity, you would think, for the home of fine dining to show this grubby Londoner how it's done and restore my faith in gallic food. Four days, therefore, to cram in as many restaurants, vineyards and cheeseboards as possible in the sixth largest city in France and capital of the Loire valley, Nantes. But the omens weren't good. Instead of the baking sunshine I had been used to during my brief return to London, Nantes seemed to be under a permanent cloud of drizzle and on our arrival relatively early on Thursday evening, there was apparently nothing open - not a supermarket, boulangerie, delicatessen, nothing - in the entire city. Taking advice we drove to the Carrefour in Beaulieu, where we arrived just as that was also closing and spent our first night picking at greasy crêpes in a strip-lit mall and got lost in the mind-bogglingly complex Nantes one-way system on the way back. It was to be our most enjoyable meal out of the trip. 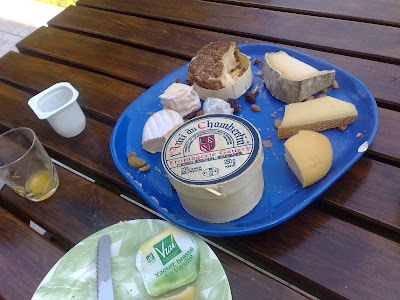 The next day, foodie salvation came in the form of a brilliant cheese shop in the centre of town where a friendly French lady helped me pick out a selection of local produce and made our first lunch in Nantes a thoroughly satisfying journey of cheesey discovery. Highlights were a local camembert rolled in alcohol and hazelnuts which had a pungent burn and attractive mushroom shape; a doughnut-shaped goat's which was rich and smooth and disappeared almost immediately; a fantastic spongey unpasturised cow's cheese washed with the local wine which was mild and fresh without being plain; and an astonishingly strong Epoisses-style cheese called l'Ami du Chamberlin which wasn't local but I love Epoisses and couldn't resist. But the best thing I bought from that cheese shop wasn't even a cheese. "Beurre Cru a la Baratte Bois Moulé a la Main - Demi Sel" (to give it its full title) is literally the best butter I've ever tasted and immediately became the most in-demand item on our lunch menus. 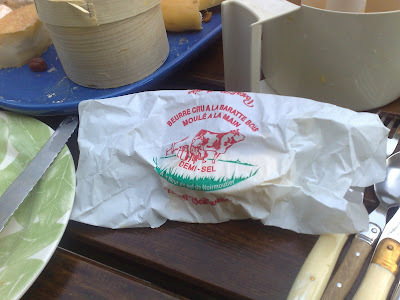 As fresh and smooth a butter as you're ever likely to taste, all I can suggest is you visit the sole UK importers Teddington Cheese (other countries you'll have to do your own research!) and get yourself a pack now. You will never want another butter again, I promise you. 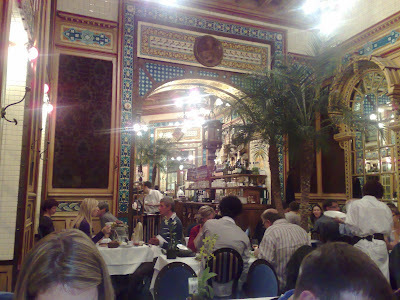 That evening, we visited a local institution called La Cigalle, which was an impressively eccentric room containing palm trees, moorish tiling and mirrors and which served food entirely without merit. 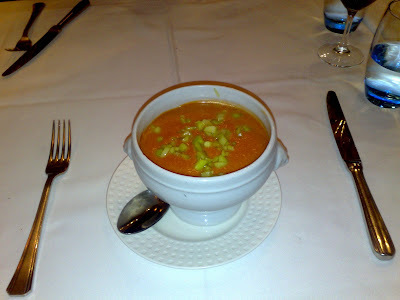 My gaspacho was OK but had some frozen prawns pointlessly lurking at the bottom of the bowl, and my main course of duck parmentier tasted and looked like dogfood and was served on a searing hot glass plate onto which they'd dumped a wilted serving of green salad. My other dining companions were served cold and overcooked fillet steak - quite an achievement really. 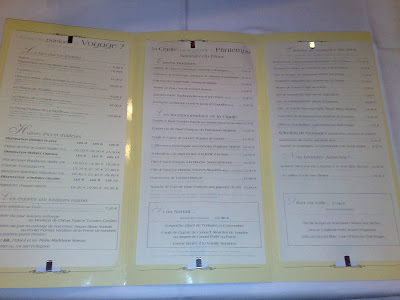 The place was rammed too, so either the residents of Nantes rated décor over food or nothing else was open. Either is likely. Saturday was a day devoted to wine. 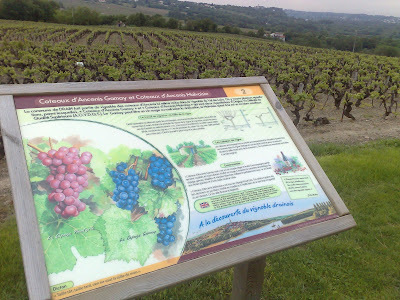 The vineyards of the Loire Valley are rightly famous for their incredible variety and produce everything from sparkling reds to dark rosés to everything in between. 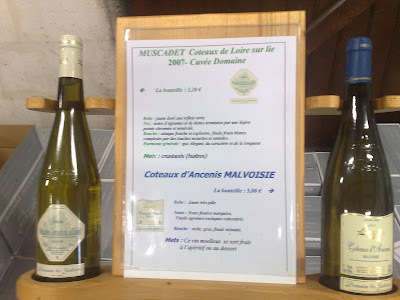 A style that we saw a lot of on our tour was 'Muscadet Sur Lie', a slightly fizzy minerally white which is unique to the area and makes a great aperitif. 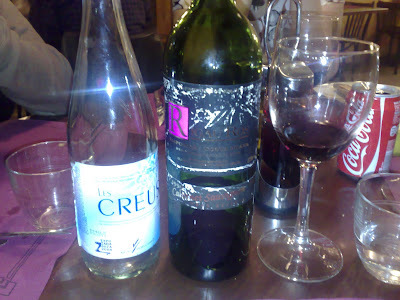 Another of my favourites was a red made with the Gamay grape, which was light and fruity without being too sweet. It's also worth mentioning that without exception the wine producers were genuinely enthusiastic about their products and led us through the tastings with charm, patience and an excellent command of the English language. Working in a place you love making a product which is appreciated the world over, every day the commute being a leisurely punt through the rolling French countryside with nothing more taxing than the odd stray cow to avoid on the way home. No wonder they all looked so serenely happy, the lucky, lucky bastards. That night came a second chance for Nantes dining to redeem itself. 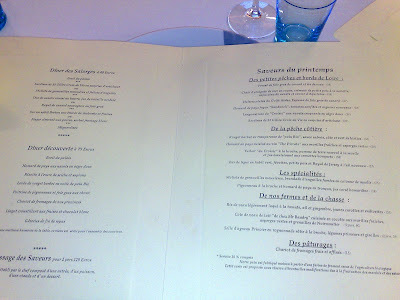 L'Atlantide is the only Michelin-starred restaurant in town and I thought would be a guaranteed way to sample the best that Nantes had to offer. First, the good points. The room was attractive (if uncomfortably hot until one of our party managed to jimmy a window open) and had great views of the river from its 5th floor location. Service wasn't bad either, although the wines didn't always arrive with the food. 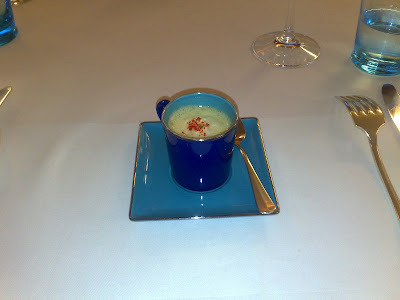 And an amuse of eel and langoustine mousse was smooth and fresh, if a little on the buttery side. Thereafter, it was all downhill. 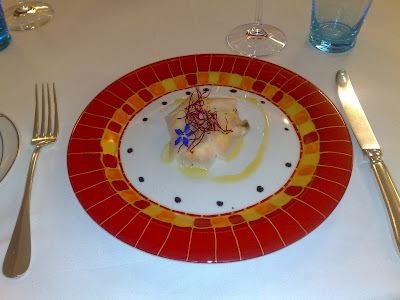 The best thing you could say about the langoustine starter was that it was unchallenging and the prawns were large. But with larger shellfish you have to think about deveining, and these hadn't been. 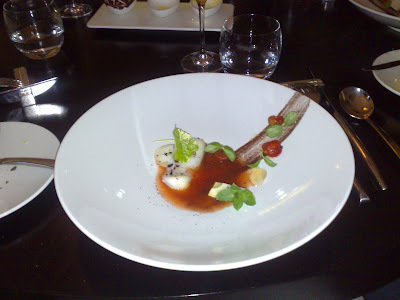 The waste pipes were bitter and soily and spoiled the dish completely. 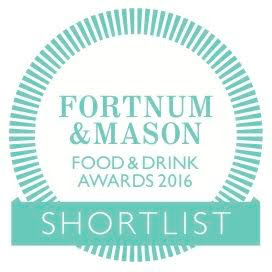 An amateurish mistake for a Michelin-starred restaurant. 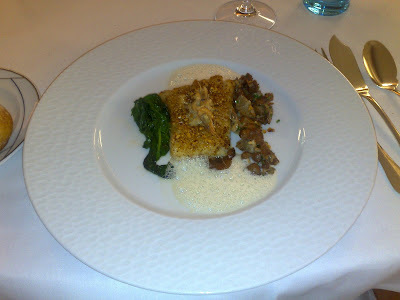 The next course of red mullet was overcooked and not very fresh tasting, although the accompanying wild mushrooms were nice. But even if the fish had been fresh and cooked well, it was drowned under an overpoweringly sweet crust of honey and nuts and topped with some tiny shell-on shrimps which nobody had any idea what to do with. Shell them with tweezers or eat them whole and crunchy? Answers on a postcard please. Very odd. 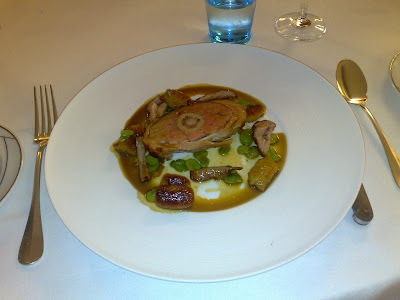 Meat course of lamb shoulder with gnocci and lambs kidney was overcooked and messily presented. The gnocci were dense and stodgy, and the kidney was a tasteless dry lump weirdly set into the lamb meat so the whole thing resembled a large diseased eye. The dessert was better, but not much. 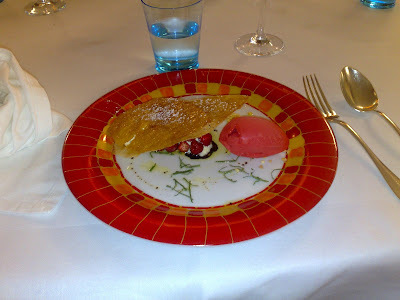 The wild strawberries were surprisingly tasteless - the first time I've ever had bland wild strawberries so heaven knows what they did to them - but the sorbet was quite nice. The bill came to about €80 each which I suppose isn't bad, but the standard was far below what I could have reasonably expected for a starred place, and certainly below the standard you could get in London for the same price. 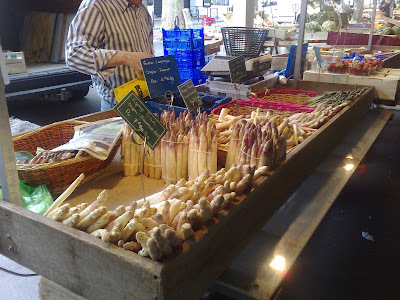 I know London is a major world city and Nantes is just a regional centre, but this is France - my memories from childhood holidays was just rolling up to the nearest roadside brasserie and having the best meals of my life. What on earth has happened in the last ten years? 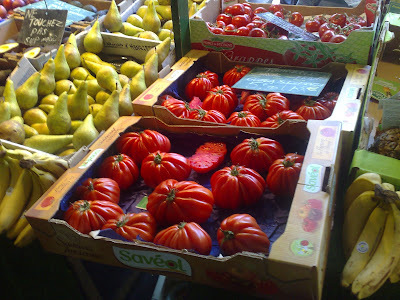 I should reiterate, however, that although my experiences in restaurants in Nantes was uniformly poor, there seems to be a healthy and sophisticated food culture on the ground level that you would expect from a major French city. 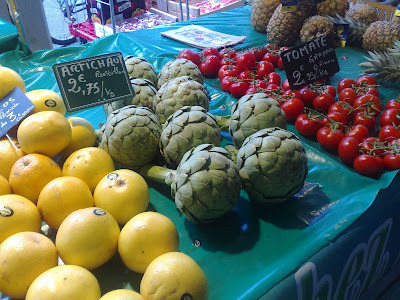 The Talensac Market has a mouthwatering array of fruit, veg, fish, meat, cheese and regional specialities that would shame any regional market in the UK. We saw about five minutes of it before it closed. Frustrating opening hours turned out to be a running theme of the trip - one vineyard we attempted to visit was literally only open from 10:00-12:00 on Saturday. A window of two hours to get in, get your tastings done and get the hell out. Maybe the owners were just too busy enjoying life to be bothered running a viable company. How very French, and how very enviable. 1. The best vegan restaurants will never serve better food than the best non-vegan restaurants, because taste in Western cooking by and large comes from dairy and animal fat. 2. In a normal restaurant serving the odd vegetarian dish, you can be reasonably sure that dish is judged by the standards of the other dishes, and not just ‘good enough for vegetarian’. 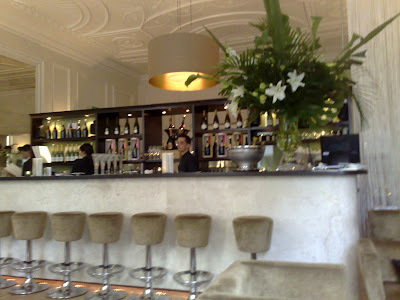 See my review of Pearl in Holborn, where my favourite dish (gnocchi and truffles) just happened to be vegetarian. 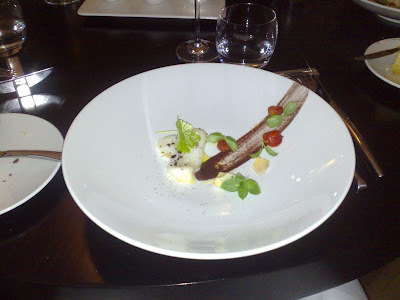 In a pure vegetarian restaurant it will be incredibly difficult - though not impossible - to keep standards consistently high across the menu as your ingredient options are so limited. 3. Any restaurant committing itself to just serving vegan food is already starting with a huge disadvantage, and just by appealing to and satisfying the tiny handful of vegan diners does not really say much about the standard of cooking. If all you’re used to being able to choose is a green salad every time you eat out, I don’t blame you if you’re excited about SAF. 4. There are good vegetarian/vegan restaurants but the successful ones are generally from an ethnic background where meat eating is culturally more unusual. See Kastoori. Just making French food and taking the butter out is a surefire way to create some pretty bland dishes. 5. 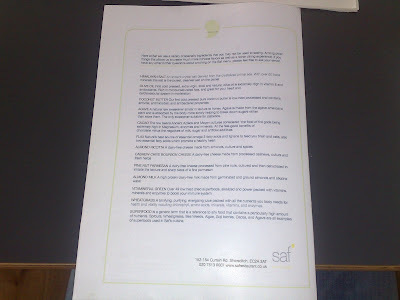 That said, I think I owe it to vegans to try out SAF, and I will as soon as I’m back in the UK. I will do my best to keep an open mind, but I’m already not the first to raise a dissenting voice. 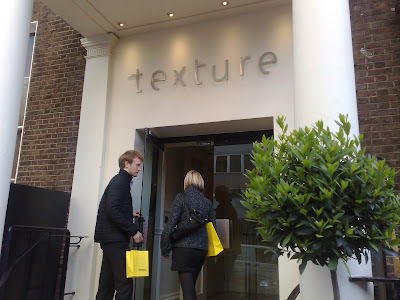 So, ill-informed and closed-minded I may be (not my words, the words of a righteous vegan responding to the above comment), but I am a man of my word and so today made a lunchtime visit to Curtain Road to see if it was as terrible as I knew it was going to be. First impressions were depressingly good. The room is huge - light and airy, with great high ceilings, attractive furniture and a bar stocked with organic vodkas and gins. There's an open kitchen too and I peered in suspiciously, wondering what kind of cooking could be going on in a vegan restaurant. 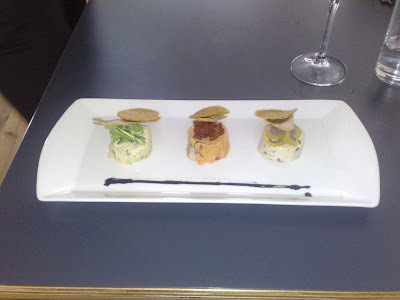 When the starters arrived there was an even bigger psychological blow - mine was actually rather good. Tasting nothing like the Boursin cheese advertised on the menu it was nevertheless a very tasty trio of herb, tomato and olive flavoured nut paste thingies, kind of a more solid humous. The accompanying crackers were a bit cardboardy but it was all so prettily presented it added up to a reasonably good plate of food. It was all getting dreadfully upsetting. Fortunately - thank God - things began to fall into place once the starters were over with. 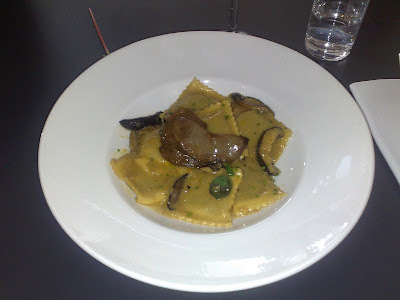 My main course of wild mushroom ravioli looked the part and had clearly been cooked with great skill, but there was something slightly wrong with the pasta. It was anaemic tasting and the sauce had a very strange film on it. At once I decided it was basically a dish crying out for some animal product. Still, full marks for effort and if you're a vegan it's probably the best pasta dish you're ever likely to taste, if that's any kind of compliment. 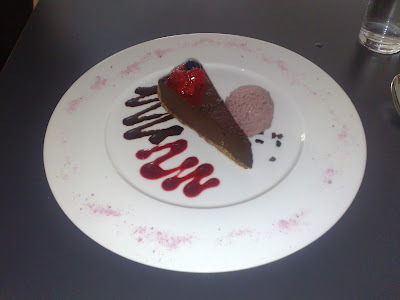 My dessert, again, was a prettily composed slice of Ganache Tart with berries on top, served with a zingy fruit sorbet. It was perfectly edible, with a good smooth texture and probably as good a chocolate tart you're going to get that doesn't have any chocolate in it. But I return to my same point - this would have been fantastic made with a shedload of butter. These chefs can definitely cook and I couldn't help thinking how great they'd be if they were let loose on some fois gras or a beef carpaccio. But then that's not really the point of Saf. 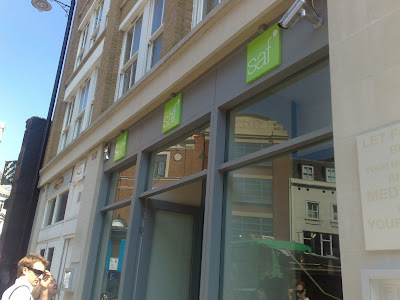 Saf is a vegan restaurant, self-consciously healthy and worthy, and you shouldn't really be expecting the same taste sensations as somewhere using butter and cream in their sauces. And despite the largely bland food, I actually can see myself going back - it's healthy, attractive and different and the worst you can say about it is that all the talk of Himalayan salt and Ionised tap water can get gratingly pretentious. What's more, the knowledge that all this appealing food is actually good for you means there's none of the pangs of residual guilt from a lunchtime steak and chips or salt beef beigel - that is, unless you decide to load up on the excellent house cocktails and do damage to yourself that way instead. 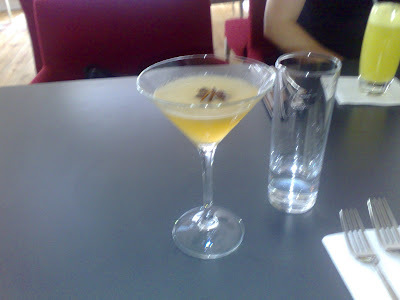 I can recommend the Spiced Apricot Martini, a superb invention. So, and admitting this will most likely send me spiralling into a cycle of self-loathing and depression, but I liked Saf. The dishes don't quite taste as good as a conventional restaurant but they're a damn sight better than they have any right to be thanks to the extraordinary skills on display from the kitchen staff, and stepping out of a restaurant after a three-course meal feeling like you've actually done yourself some good for a change was a delightfully unique experience. 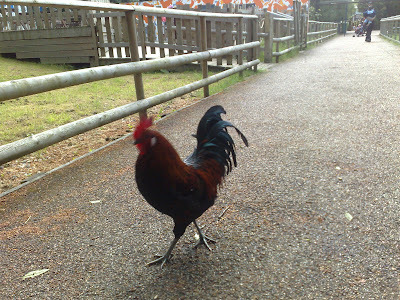 I will be back - I wonder if they can make me a vegan humble pie? I must be finally turning into a grumpy old man before my 30th birthday. While I can still often overlook sloppy service if the food is up to scratch and I have a glass of wine in front of me, I am definitely becoming more discerning (or "fussy" depending on who you talk to) and have found myself avoiding restaurants that serve decent food if I think it's going to take hours to get through it. Shocking, I know. Perhaps Catalonia just suffered in direct comparison with the levels of service I'd been used to in the US, or maybe I was just unlucky. But there wasn't a single restaurant I visited last week that wasn't marred by dreadfully slow, indifferent or inconsistent service. "Highlights" included lunch in a charming Pyrenean mountain village (St. Lorenç de la Muga) in which every stage of the meal (getting menus, ordering, clearing plates) was punctuated by a half hour wait, and everything had to be asked for multiple times; dinner in L'Escala on two separate evenings where the first (largely positive) experience was matched by a kind of 'evil twin' evening three days later where all the same dishes came out slightly wrong and our charming waitress was replaced by a man in a string vest who smelt of body odour. But there is one element which has become a real bugbear of mine, and that's the serving of extra table items such as olive oil and bread and tomato, which seems to depend on which day of the week you're eating and whether the waiter decides you're worthy enough to be given it. 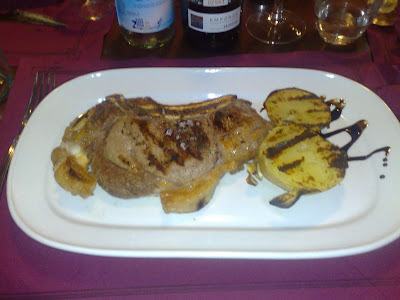 In the St. Lorenç place we noticed that all the other tables had toasted bread and a little plate of garlic cloves and tomatoes to rub on them, whereas we were halfway through our starter without being given any. Once I'd managed to rugby-tackle the waiter and pointed this out, he reluctantly brought some over, and when I asked for oil and vinegar, he strolled over to the nearest table and stole theirs. Similarly in L'Escala you can be comped bread and aioli one night and nothing the next, in the same restaurant, at the same table, from the same waiter. 1. 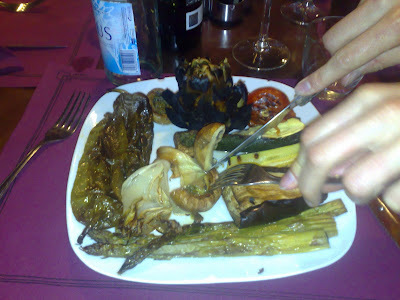 Charcoal-grilled vegetables from La Taverna de la Sal (L'Escala), particularly the blackened artichoke which was great fun nibbling away at, served with the fiery house aioli (eventually). 2. A lovely bottle of Rigau Ros 1999 Cabernet Sauvignon (Empordà), from just up the road, went very well with a huge T-bone steak and grilled/baked potatoes. 3. 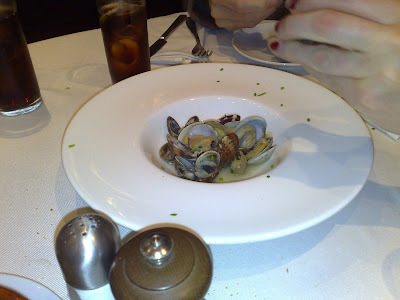 A smashing bowl of what were described as 'Galician Clams', served in a salty (too salty for some but I have a famously high salt tolerance, which is just as well with Spanish food) white wine and garlic sauce. The meaty clams, served in a brand new tapas bar called Cu4tro, in Cadaqués, really were a revelation - meaty, rich and amazingly fresh. 4. 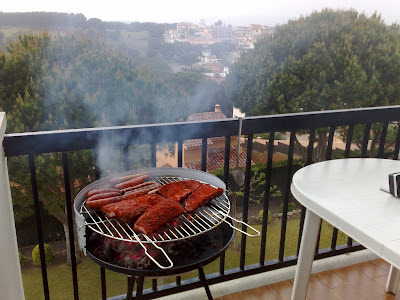 Chorizo sausages from the local Carrefour, barbequed on the balcony alongside some pork ribs rubbed with paprika and herbs from the garden. I think it was probably at this point we decided we didn't need to suffer the pain of bad service to eat well. 5. 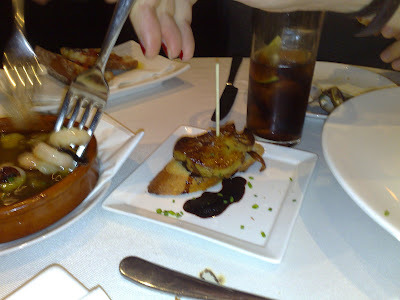 Seared fois gras on toast at Cu4tro. So wrong it's right. A massive slab of fois and balasmic reduction, on toast. 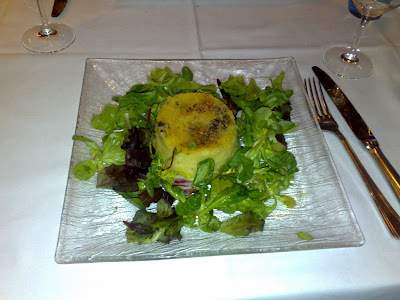 Not exactly tapas, in fact not exactly Spanish, but fois gras wins me over every time. 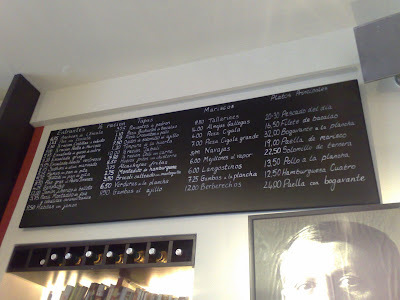 So apologies for the fact that 90% of this post has been a rant about Spanish - or should I say Catalan - service, but if it even fleetingly crosses the mind of a devout foodie such as myself that I can't face eating out because I know it's going to take hours and be a battle, then something needs to change. I'm off to France on thursday (Nantes, since you ask) after a good ten years away, so I'm hoping that my faith in restaurants will be thoroughly restored.